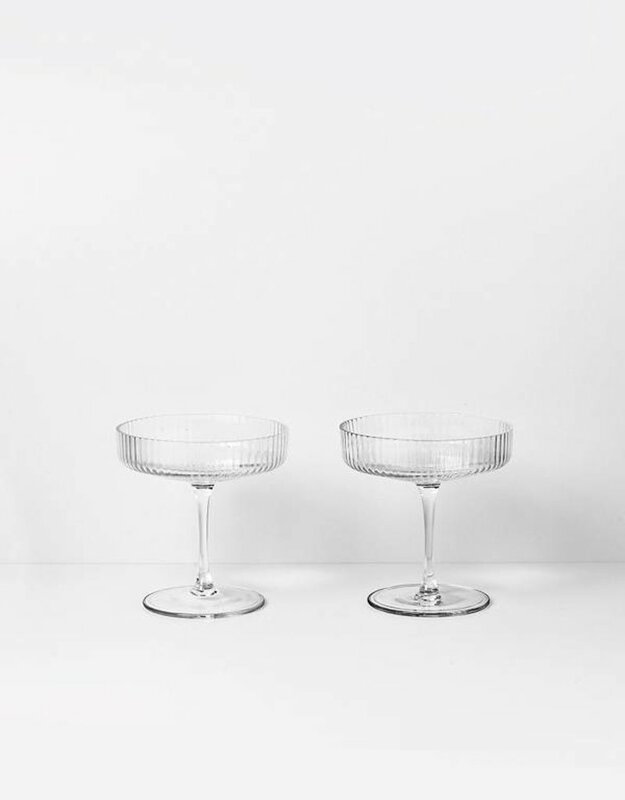 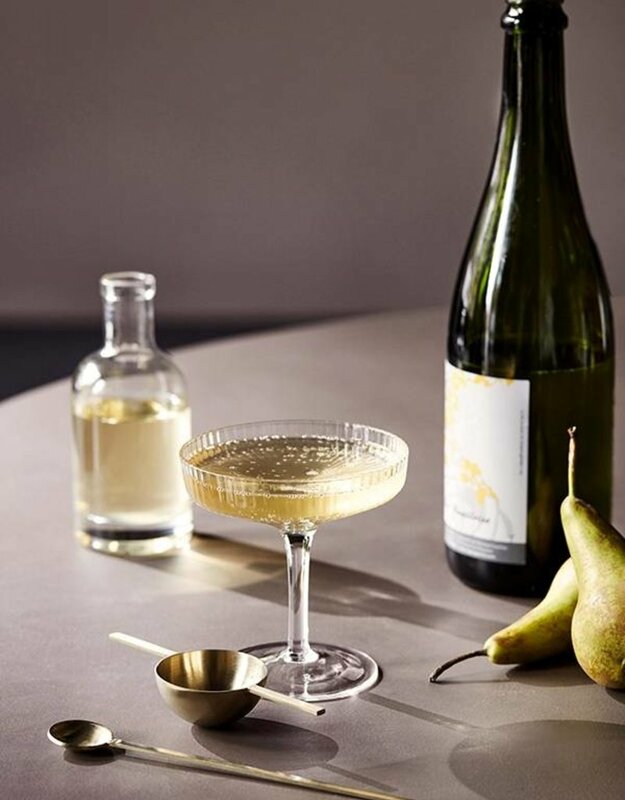 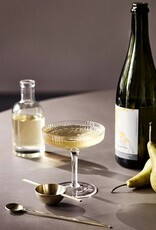 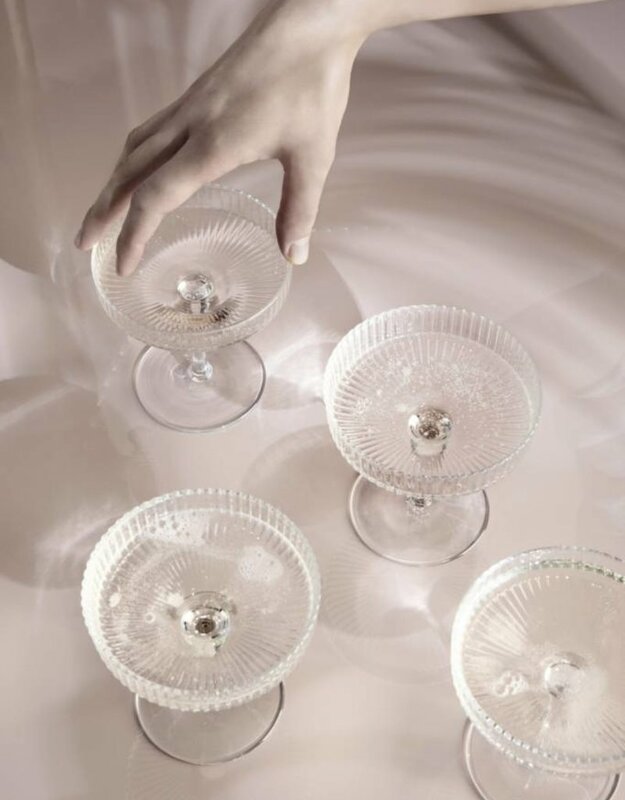 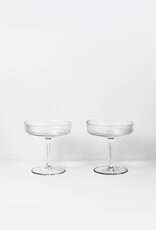 Featuring a beautifully rippled surface this set of champagne saucers presents a classic glass for sparkling wines. 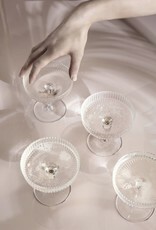 They are made of delicate glass mouth-blown into the mold, adding a dynamic and energetic expression to the glasses. 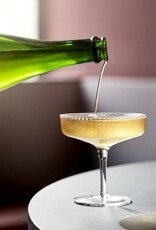 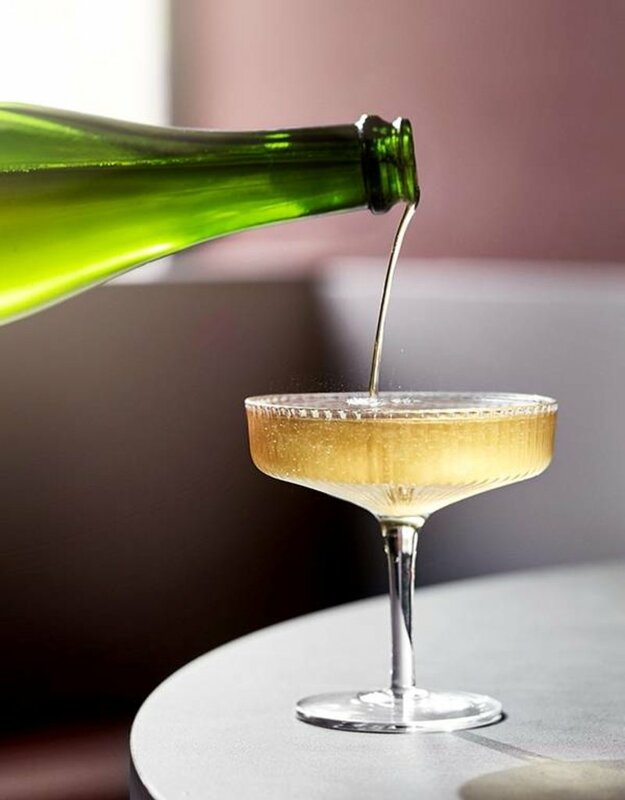 Every glass is mouth-blown and made with love, so variations can occur.